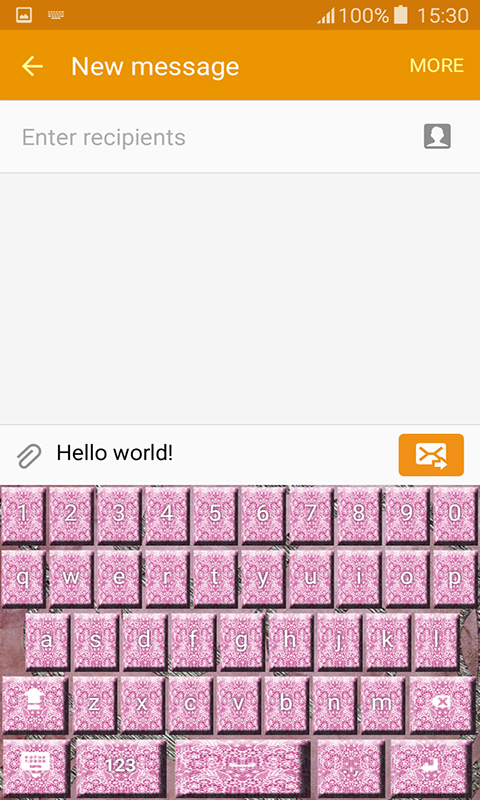 Have you ever wanted to make your keyboard different from all the others? 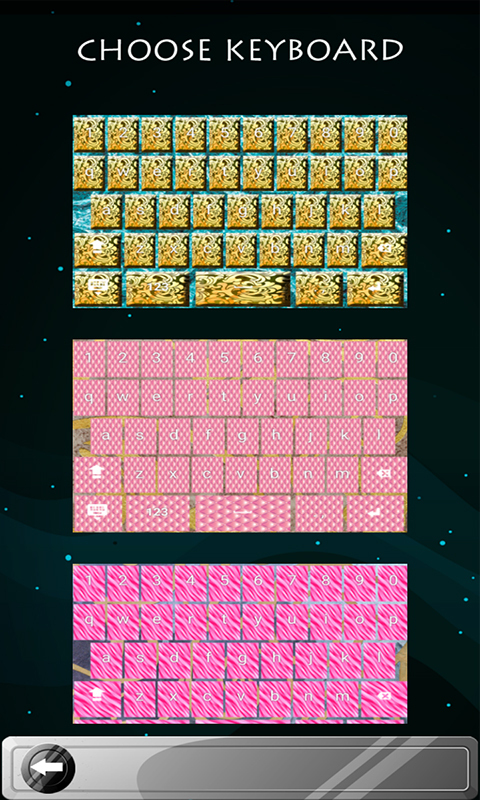 Now you will have the chance to do it once you download free the newest ♔Decoration Keyboards♔ app. Personalize your phone in the best possible way using the most sensational photos. Look at the loveliest one of golden surface with sensational bright ornaments in the form of flowers on the stems with amazing leaves. It seems like these wonderful plants are spreading all over your screen and that astounds you. You cannot take your eyes off this picture and slowly you forget all your worries and problems. 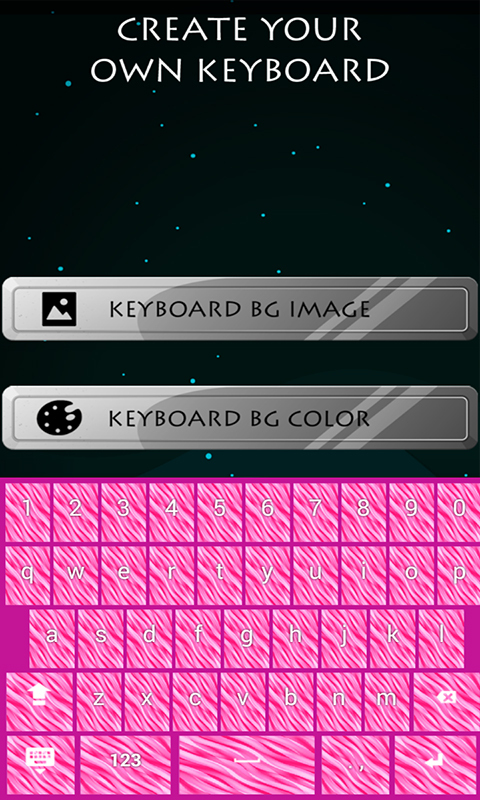 You are enchanted because now you can play with your customizable keyboard and decorate it. 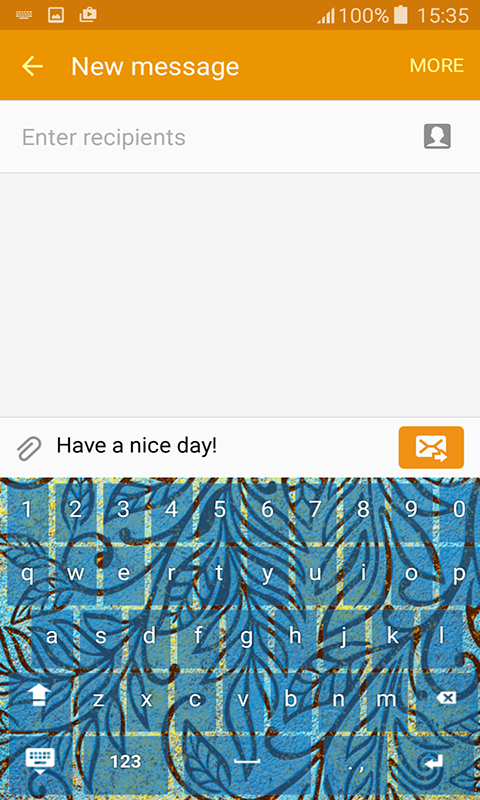 Make it unique and show it to all of your friends to surprise them completely. 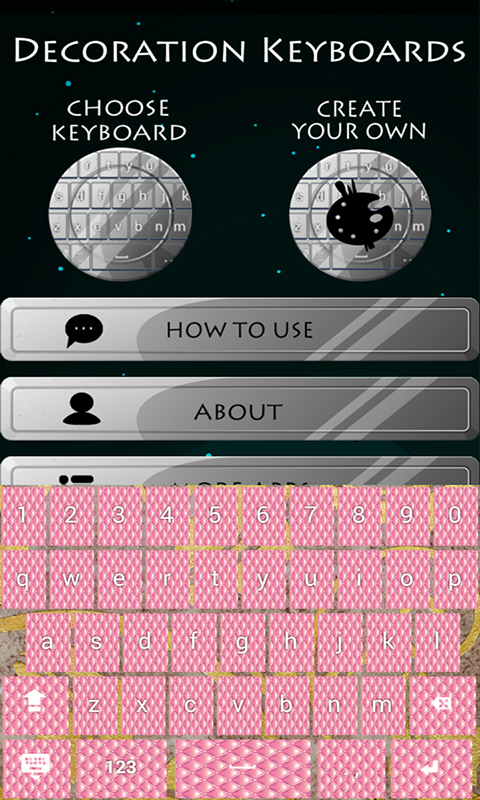 There is also the collection of the coolest button shapes and you can choose there the one that you like. Bring your personalized design to your writing style with the popular ♔Decoration Keyboards♔.